It is difficult to be certain with cryptocurrencies – as the nature of the decentralised system is to offer some degree of anonymity – however, research suggests that there could be more that 3 million traders in virtual currency in Japan. The statistics released by Japan’s FSA for the first time comes from data gathered from 17 exchanges in Japan. The figure could be closer to 3.5 million who are trading in cryptocurrencies as actual assets. It is the Japanese in their 30s who hold the largest stake in cryptocurrency. This makes sense, as it is the age by which people have disposable income and they are part of an age group where the internet has always been an entity. The release of such data shows Japanese attitudes to cryptocurrency are different to elsewhere in the world. Such a study of trading patterns is unprecedented in a sector that values the decentralised ideology of the originator of blockchain technology. Japanese officials felt that monitoring of cryptocurrencies had become necessary after the hack of one of Japan’s domestic exchanges Coincheck. This may signal more intervention from the Japanese government or it may signal the magnitude of the cryptocurrency market in the country. It is less the number of investors and more the growth of investment that has sparked the governments interest. The interest in margins, credit and futures of bitcoin alone has risen from $2 million in 2014 to $543 billion in 2017 alone. The scale of this economy is likely to have triggered the interest of the FSA in Japan – rather than a single incident of hacking. There is a reported obsession with cryptocurrency in South Korea. We are used to images of the hi-tech world of South-East Asia – so this might not be a surprise – but the demand for virtual money in January lifted prices in Korea 50% higher than those in America. So, the population of South Korea might have fallen passionately in love with cryptocurrencies – their government on the other hand has some concerns. The question is: why are South Korean’s so interested in online currency? Well, investors in South Korea have always shown a love of high-risk financial prospecting. Research from Korea’s Institute of Finance shows that the current speculation on high risk cryptocurrency is not out of character for the Koreans. However, some believe the love of the state-less virtual currency is due to a fear that sharing a border with North Korea makes the keeping of money in fiat currency riskier. The chance that South Korea could face attack from the North could cause markets to falter and currency to drop – therefore, making it a psychologically safer bet to use currency that has no such border. Currently, South Korea is a major player in cryptocurrency – a far bigger influence than the size of its population suggests it should be. Only the US dollar was used more to trade in cryptocurrencies. South Korea accounted for more than 10% of all trades on Bitcoin. This makes the actions of the South Korean government particularly significant in the world of virtual currency. China is playing an interesting game in the world of cryptocurrency. In one hit they ban the trading of cryptocurrency – employing China’s almighty powerful firewall to block access to foreign exchanges for all citizens. This is the latest attempt to curb Chinese increasing interesting in Bitcoin in particular. China’s government, as the character of the regime suggests they would be, are unhappy with the anonymity and lack of central control of such a currency. Yet, even though China has played a part in the rise and fall of Bitcoin – this influence is now waning. More oddly, there has been an emergence of Chinese blockchain companies, backed by the government, to compete in the cryptocurrency space. The emergence of NEO has been getting huge attention in the country – and are increasingly popular with startups – and giants like Alibaba too. Even the Japanese government have shown interest in engaging in NEO. So, in one breath the Chinese government shows that it despises cryptocurrency and then in the next backs a national virtual currency – which is starting to compete globally. Blockchain tech has become part of the 13th 5-year-plan, which calls for the development of promising technologies. So, it less a lack of trust in virtual currency and more a desire to leverage the buying power of the Chinese population for the good of China – rather than an unregulated, borderless global economy. The birth place of regulation? Cryptocurrencies were safe whilst they remained the remit of the IT geek and minority virtual investor who were enamoured by the blockchain technology. When virtual currencies became mainstream – rising in popularity across populations – then governments were always going to sit up and claim a right to have a say. Cryptocurrencies began as assets: something that may or may not rise in value. Now business people are using ICO (initial coin offerings) as a means of financing enterprises. The blockchain tech has also become more commercialised – extending its reach outside the realm of cryptocurrency. All this growth has raised the heckles of regulators across the world. The question is: will South East Asia start the domino effect of regulation by being the first to crackdown on the decentralised currencies. The problem for Asian governments is that they need to protect monetary sovereignty and the consumers – whilst allowing innovation to flourish. The reason why Asia – more than other parts of the world – may jump to regulation quicker is due to the size of interest in these countries. 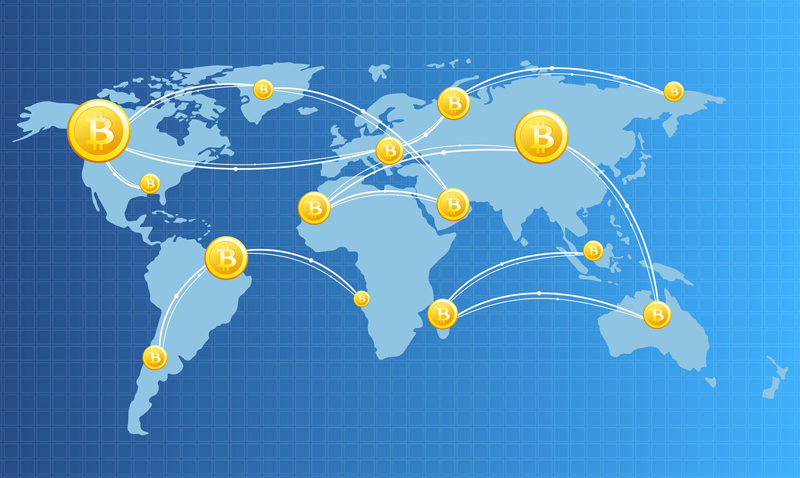 The number of investors in cryptocurrency in Asian countries is mind-boggling – therefore arguably a threat to the national economies of the countries more than anywhere else in the world. South Korea, Japan and China represent some of the largest markets in cryptocurrency in the world – therefore it is not surprising that this area of the globe will jump first to regulate.